The Battle of Rising Stars: Malcolm Butler vs. Allen Robinson | NFL News, as it happens, when it happens. Your one stop shop. This week’s Patriots vs. Jaguars matchup includes two of the leagues up and coming talent and potential superstars in Patriots cornerback Malcolm Butler and Jaguars wide receiver Allen Robinson facing off against each other. As we all know Malcolm Butler has done a good job replacing Darrelle Revis as the Patriots number one cornerback and has the making to be one of the leagues top cornerbacks with continued improvement. 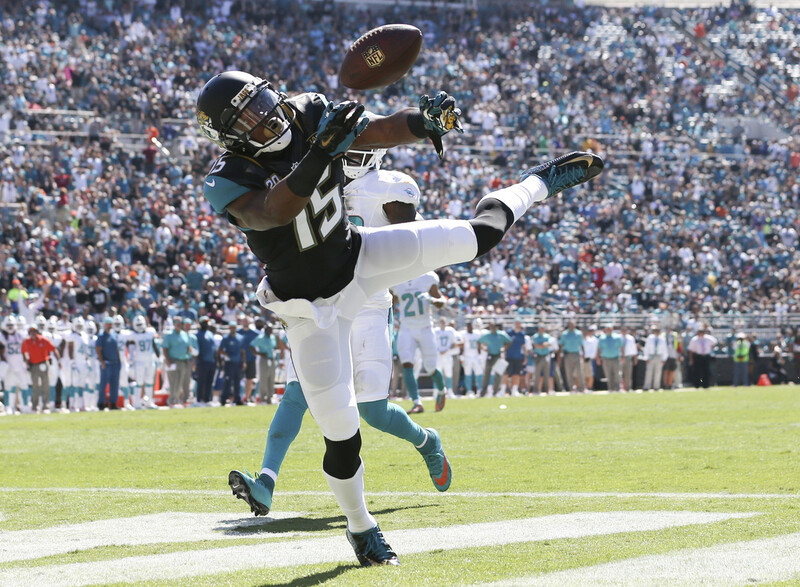 Jaguars wide receiver is another guy who with more experience and improvement could work himself up the ranks of a top receiver in the NFL. Both players are in their second year and have had strong performances so far this year as well as good showing during their rookie seasons last year. Robinson is coming off a six reception, 155 yard, two-touchdown performance against the Dolphins last week, who were thought to have one of the best defenses in the league entering this season. Robinson was the key in last week’s victory and will be the key for the Jags offense going forward this season and further into the future. Robinson was having a good rookie year before having his season ended early due to a broken foot. He finished his rookie season with 48 receptions for 548 yards and two touchdowns. The biggest key to Robinson’s development may be the play of Jaguars second year quarterback Blake Bortles, who was taken third overall in the 2014 NFL Draft. Bortles had an inconsistent rookie partly due to a lack of offensive weapons and the poor play from the teams offensive lineman and defense. If Bortles can play with more consistency and get the ball to Robinson, Robinson could be a very good wide receiver in the NFL. We all have seen Butler’s amazing Super Bowl interception and have seen how well he has improved following during training camp, preseason and so far in the regular season. 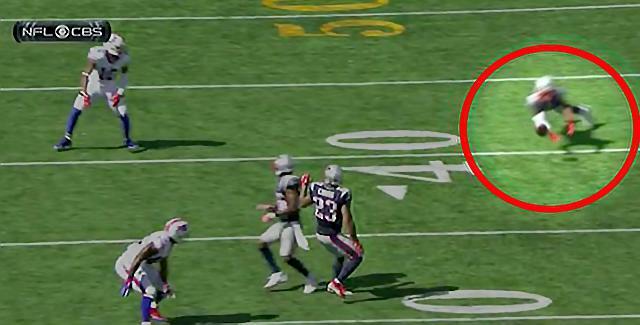 Butler showed his great ball skills again last week when making a great play to pick off a tipped Tyrod Taylor pass. Butler played well covering another one of the leagues top young receivers in Sammy Watkins playing him tight in man coverage and even played well against in my opinion the NFL’s best wide receiver in Antonio Brown. Though Brown has a good game collecting 9 receptions for 134 yards and a touchdown, Butler made a few good plays and played good tight coverage on Brown the whole game but like I said Brown’s the best receiver in the NFL and is going to get his each and every game regardless whose covering him. This week will be a different test for Butler going up against Allen Robinson, who stands at 6’3 and runs a 4.4 40-yard dash. I think Butler will be able to cover Robinson well, but the only thing that does worry me is Robinson’s speed and quickness with his height and could be dangerous if he goes deep. You never want to go into a game thinking its an easy win, but lets face it it’s the Patriots versus the jaguars this week the Patriots should win pretty easy. The Jaguars haven’t looked bad so far this season starting off 1-1, beating Miami last week and losing a close game against Carolina in week 1 but this is not a team that can beat the Patriots and this will be the biggest matchup to watch during this weeks game.